Nobel Prize winning playwright Eugene O’Neill was a pioneer of the American theater and led the way for other literary legends such as Tennessee Williams, Arthur Miller, and Edward Albee. His true legacy is found in his ability to fearlessly tackle social and political values that today continue to inspire countless generations of authors and productions. Since his death in 1953, O’Neill’s treasure trove of works such as Long Day’s Journey into Night and others have been in constant production around the world. Although he was a very talented writer, O’Neill was a deeply flawed human being, who struggled his entire life with depression and alcohol abuse, which presented challenges in all of his personal relationships. The celebrated and award winning husband and wife team of Arthur and Barbara Gelb have spent 50+ years studying and examining the life of Eugene O’Neill, and their previous works include O’Neill (1962) and O’Neill: Life with Monte Cristo (2000). Arthur Gelb died on May 20, 2014 and Barbara “wearily polished” the final few pages of their final collaboration, a book they had been grappling with for nearly a decade. 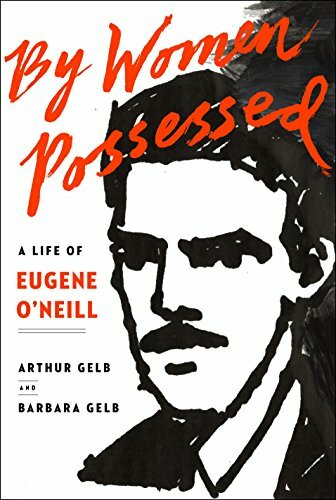 Their third and final collaboration in the O’Neill saga, By Women Possessed: A Life of Eugene O’Neill, is an 869 page epic, in which the Gelbs examine the last 25 years of the playwright’s life through his stormy relationships with the most important women in his life, primarily his third wife, actress Carlotta Monterey. The word comprehensive is often used to define thoroughly researched biographies and other works, but this definition doesn’t even begin to scratch the surface in the amount of excruciating detail the Gelbs have provided in this volume. The majority of the book is spent discussing his emotionally tempestuous marriage to Monterey, which was dominated by years of alcoholic setbacks, mental and physical decline, and hostile resentment. Within this volume are also discussed some of the longstanding misconceptions of O’Neill’s life such as his battle with alcoholism and depression, as well as his views on feminism and racism. Unfortunately, there are only brief discussions of O’Neill’s early marriages and his complicated relationship with his mother. In this work the authors rely primarily of the previously unpublished diaries and interviews of Monterey as well as material from friends and associates. Monterey gave the authors a melancholy version of O’Neill’s final years as a sick and forgotten man who isolated himself from his family and fans. By Women Possessed is a captivating and in-depth study of one of America’s most revered literary giants. This volume is a superb example of a skillful, thorough, and cynically examined editorial biography that draws from an exhaustive treasure strove of previously unexploited source material. It offers the reader an extraordinary and thought provoking view on the playwright’s life and works. By Women Possessed is heartily recommend to anyone interested in the American theater, Eugene O’Neill, or biography in general.